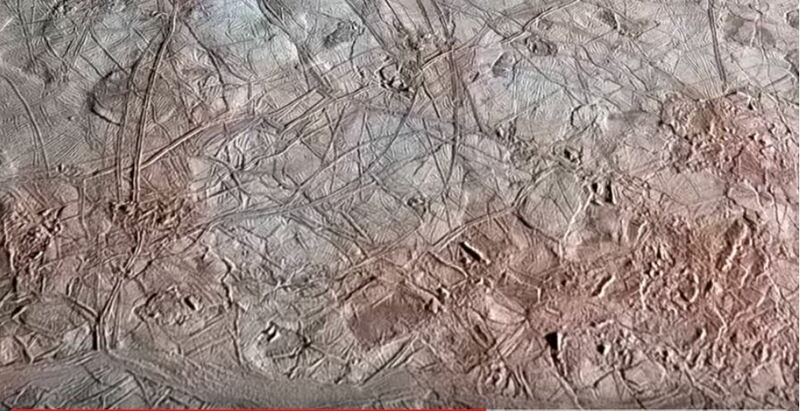 Those are clearly tracks from giant alien trucks. 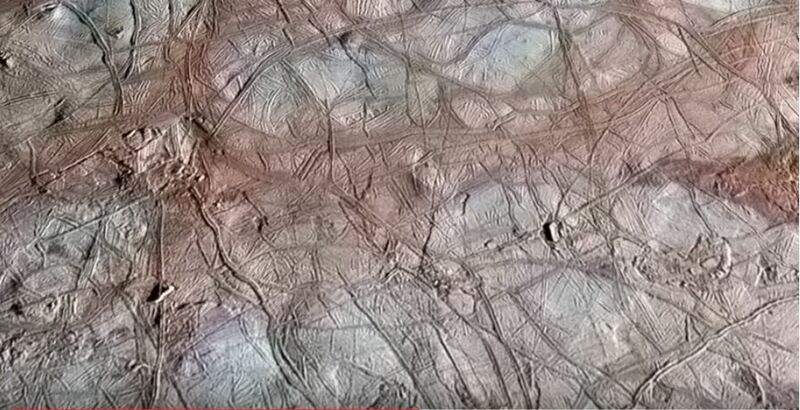 Or is it a huge ski resort on the surface of Jupiter’s Moon Europa? 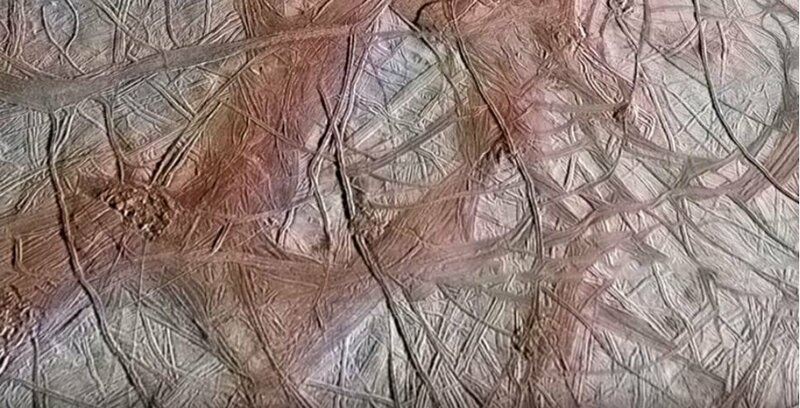 In any cases, we could imagine Europa has already been colonized when watching these baffling images captured on the surface of one of the Jupiter’s Moons. 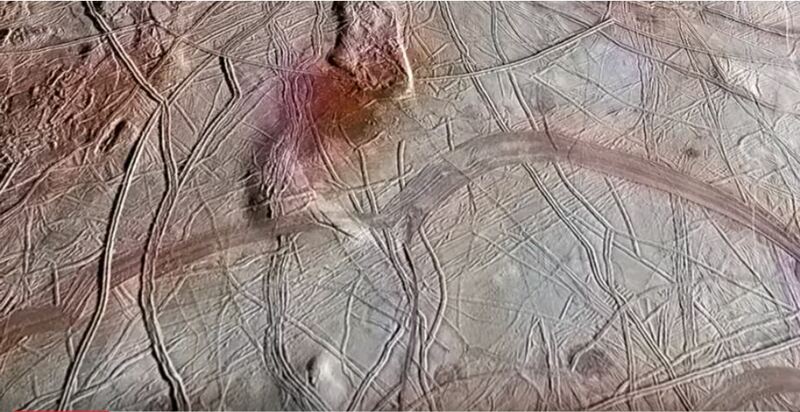 Here some pictures that could depict icy roads, villages and settlements on Europa. 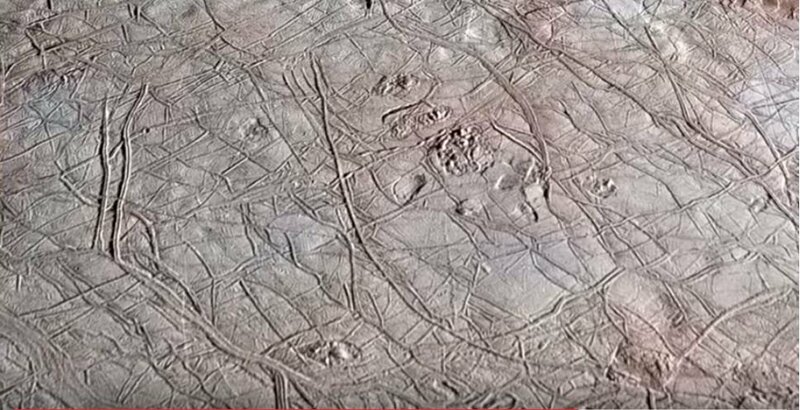 The sixth-largest moon in the Solar System has the smoothest surface of any known solid object in the Solar System which has led to the hypothesis that a water ocean exists beneath it, in which extraterrestrial life is probably present. Heat from tidal flexing causes the ocean to remain liquid and drives ice movement similar to plate tectonics, absorbing chemicals from the surface into the ocean below. 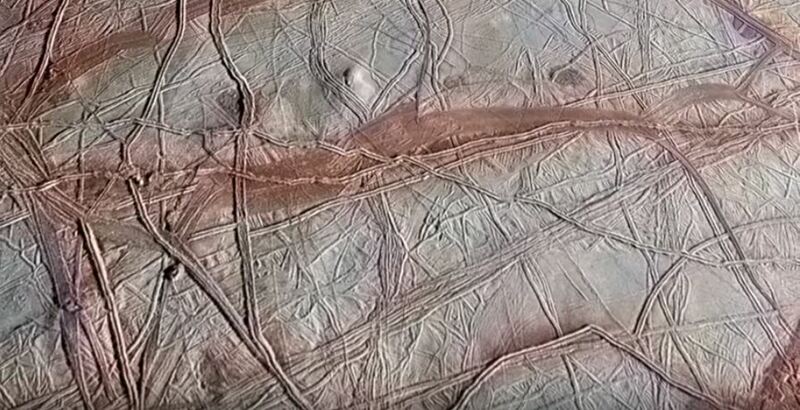 It also seems that the ocean is interacting with the seafloor. 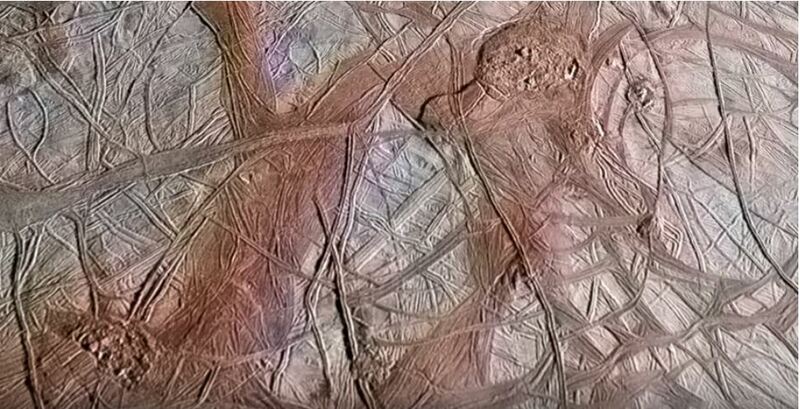 This may be important in determining if Europa could be habitable. 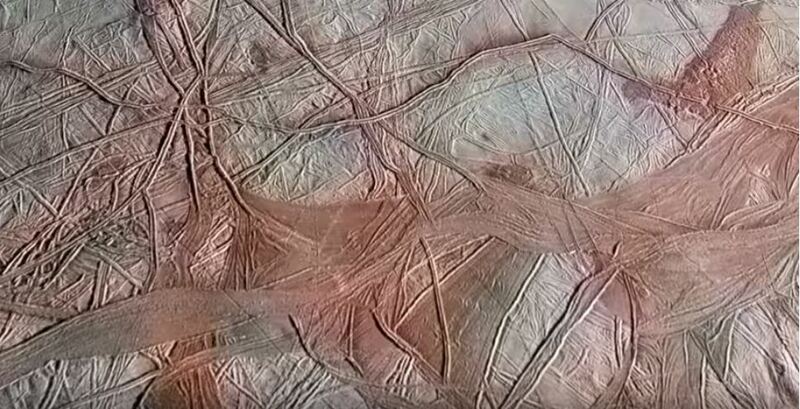 Water vapor plumes similar to those observed on Saturn’s moon Enceladus, have also been reported at the surface of Jupiter’s moon. 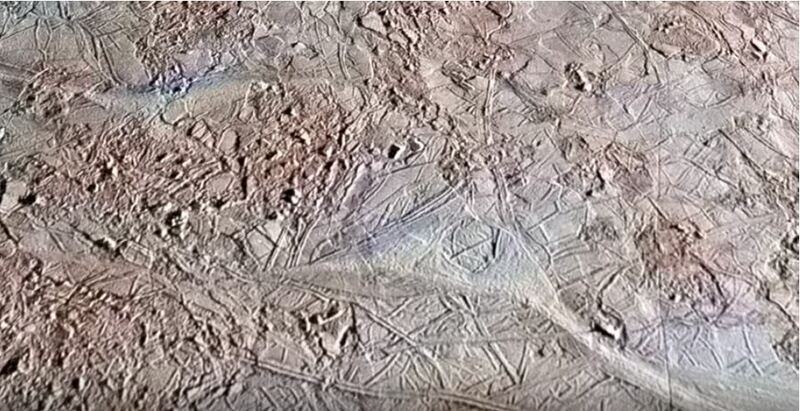 Are these also caused by erupting cryogeysers? 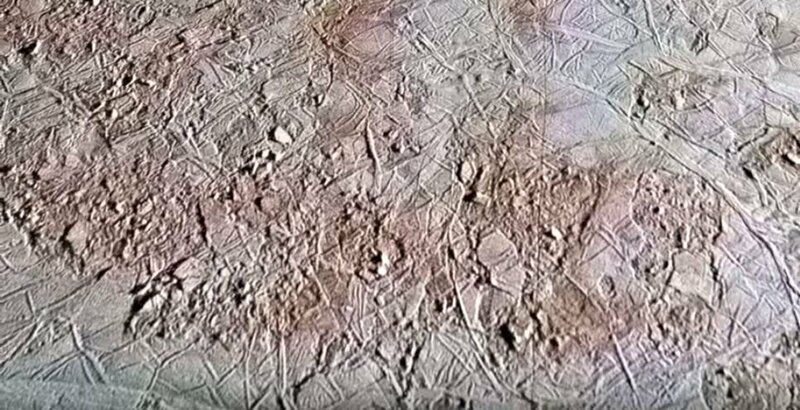 So the strange forms on the surface of Europa are probably tracks from giant alien trucks, which may transport vital energy from the surface towards the undergraound water ocean. 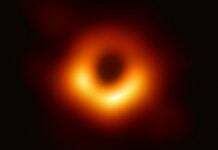 The retired US Air Force guy I met in a library in Muscle Shoals, Alabama told me that there are huge gold mines on the one of the moons of Saturn. His description match the Youtube video “Karuna 5 – Memories of a hostage”. 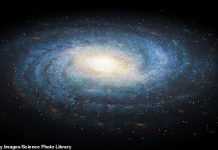 This video shows how space battle was fought between Light Forces (Galactic Federation of Light) and Dark Forces (Orion Empire = reptilian force). In the movie “Star Wars”, the Light side represents Pleiadians, and Dark side represents Orion Empire (reptilian empire). When I saw looked like an alien guy in Lowes in Muscle Shoals, I told him “You look like an alien.” Then he said “Yes, I am an alien.” So I asked him “Are you Light side, or Dark side?” He answered “Dark side”. 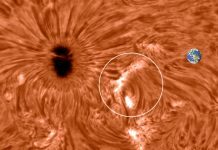 Yes, they are already there!